The October 2011 DXpedition began with a unique challenge: the coaxial cables needed to be fixed immediately because a bear had broken three of them a few days earlier. In addition, more antenna work was due. However, it was a minor distraction because propagation conditions remained below average. Still, we took full advantage of openings to areas like Colombia, Panama, Mozambique, Thailand and Southern China. We also logged Radio Gambia, a station that has been on our most-wanted list for the past couple of decades. Originally, I was supposed to travel with Jim Solatie to Lapland on Friday, October 14th. But as usual, things don't always go as planned. Jim needed to take care of his business in Helsinki until Thursday, October 20th, after which he flew to Ivalo. So my lone journey north began on October 14th with a car full of our stuff loaded on the overnight train from Helsinki to Rovaniemi. I had the cabin all to myself, and nobody else to blame for snoring. After a relatively peaceful night, it was easy to drive further north, despite a slight drizzle and the ubiquitous reindeer wandering constantly across the main highway. I shopped for groceries at Lidl in Sodankylä, which is the northernmost outlet of the German chain store. Kitchen Joy's deep-frozen Thai cubes  I could survive by eating just panang curry chicken  were destined to keep me alive for the duration of the DXpedition. Some things in Lapland never seem to change, such as not being able to get a decent hamburger above the Arctic Circle. 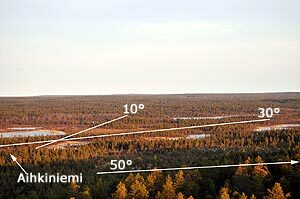 Rovaniemi  at the Arctic Circle  has the northernmost McDonald's in the world, not that a Big Mac would necessarily qualify as a decent burger. I tried my luck in Saariselkä at what was supposed to be a burger-oriented lunch restaurant. I said I'd like to have a reindeer burger. "Why, we don't have reindeer burgers" was the surprised response. I pointed at the menu, prominently featuring a reindeer burger. "Oh", was the response, but we still don't have one. "OK, can I then get a double burger?" The lady flipping burgers admitted this was her first time preparing one, and it seemed to take an eternity. No Michelin stars awarded. 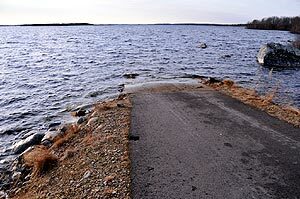 In Aihkiniemi, everything seemed to be in order when I arrived early Saturday afternoon. However, antennas pointing at 50° and 100° were not working and measuring resistance indicated that the coax feed cables were broken. In daylight on Sunday, I discovered the problem. 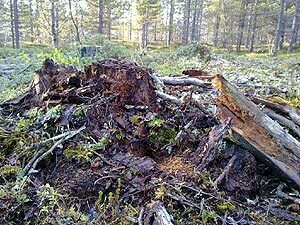 The cables ran right next to a tree stump, which had been shattered to pieces, presumably by a bear. Looking for worms or larvae, the bear had accidentally cut two live coax cables and one spare cable. Luckily, the weather was very nice and there wasn't any snow yet, so finding and fixing the cables was relatively easy. 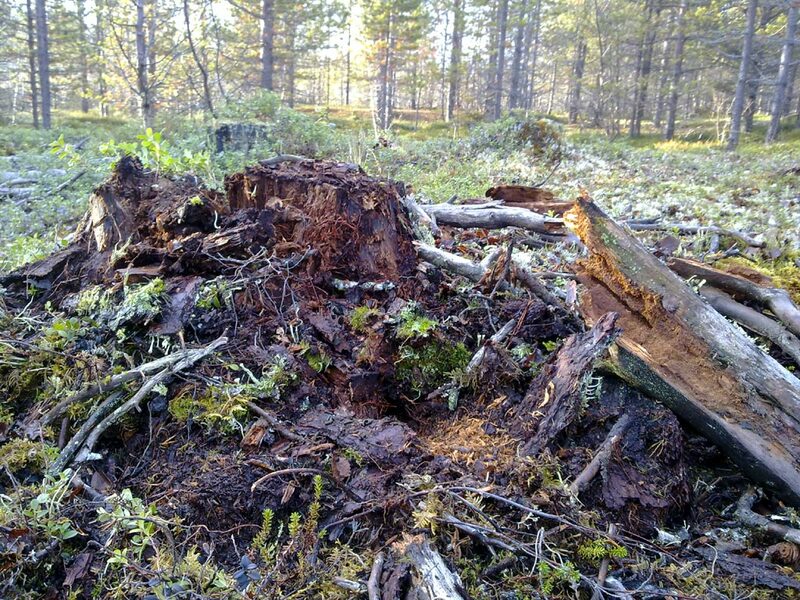 Later, a review of the automated recordings left to Aihkiniemi by Martti Karimies and Jari Sinisalo revealed that the uninvited prospector had paid a visit just a few days earlier on October 11th. A local hunter told me that most adult bears should be hibernating by now, but cubs tend to stay awake longer. Sounds very familiar. During the DXpedition, we inspected all 12 antennas, each close to 1 kilometer (3,000 ft.) in length. 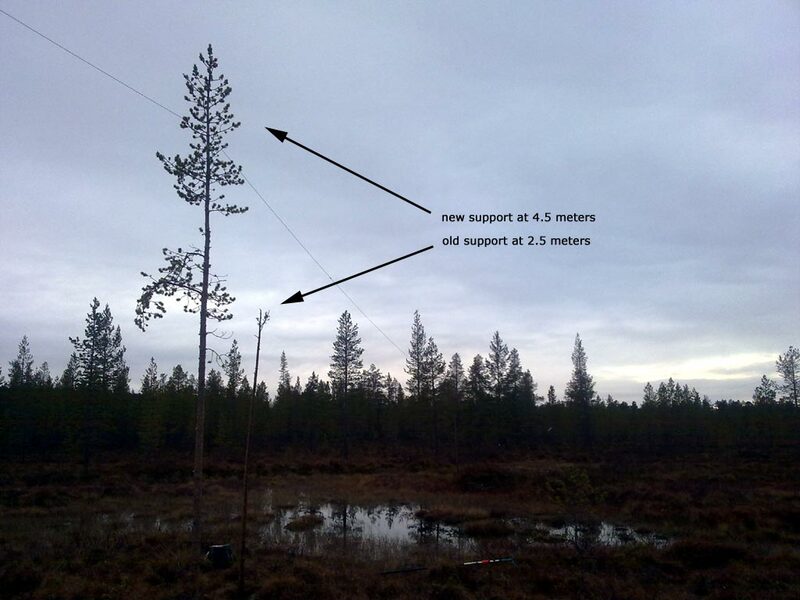 The latest addition to our arsenal is a wire pointing at 46° that's meant to substitute for the 50° antenna, which we had to take down temporarily because of upcoming logging. During the last two days of the DXpedition, we also had to save the antennas pointing at 70° and 100° from being chopped by forestry machinery. Overall, the 100° wire was the most useful one because conditions often favored South Asia. 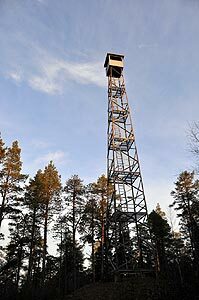 If you're not afraid of heights, this open air watchtower on top of Pyhävaara hill is located just 1.3 km from our cabin and offers views all the way to Russia and Norway. 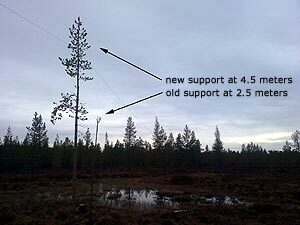 In some swampy areas, we lifted the wires higher by erecting new support poles. 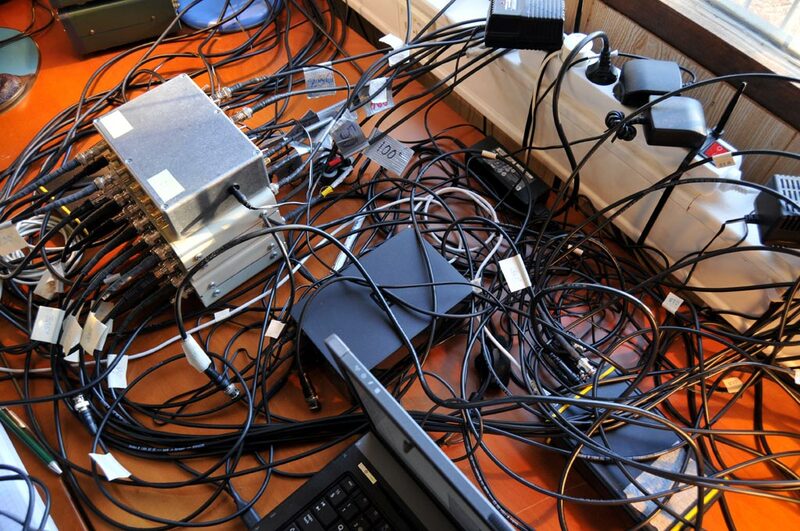 Other than that, there weren't many hardware chores until the last evening, when the 46° wire suddenly died. On the morning of our departure, when extracurricular activity definitely was least needed, we managed to find the point where the coax had been cut and fixed it. This time the culprit was presumably a reindeer or a moose. 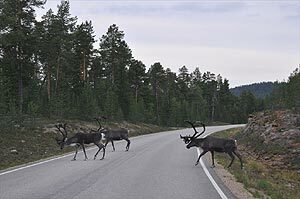 Other wildlife encounters included spotting a fox on the side of the road and reindeer roaming right under our window. 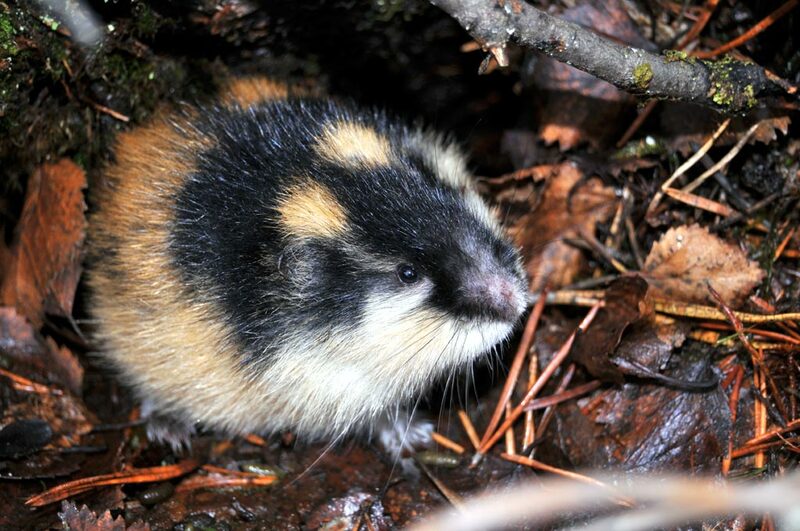 This was a peak year for lemmings and, consequently, for owls. Cute and colorful Norway lemmings (Lemmus lemmus) were spotted daily in the forest, although getting one to pose for my camera was far from easy. 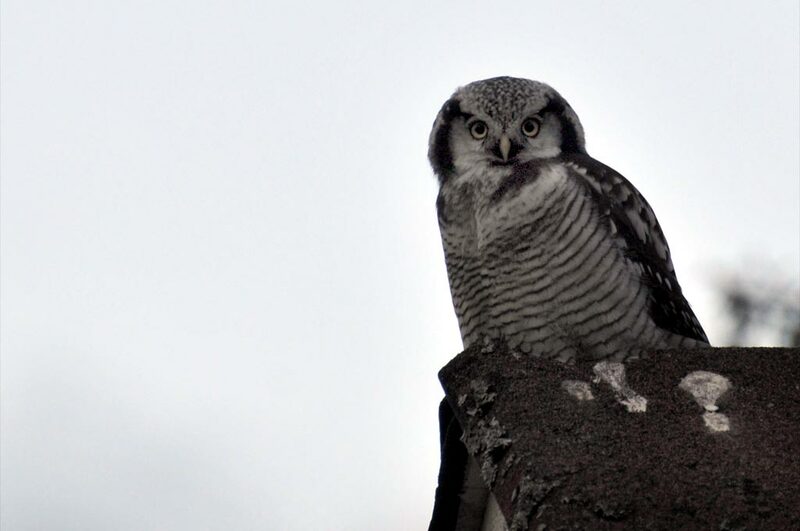 A Northern Hawk-Owl (Surnia ulula) once landed on top of our electrical pole to survey the surroundings. Weather-wise, the end of October was unseasonably warm and, although we had below-freezing temperatures for two days, there wasn't any snow on the ground. By Sunday, October 23rd, our lake had frozen, so crossing to the other side to check antennas was a bit more challenging than usual. 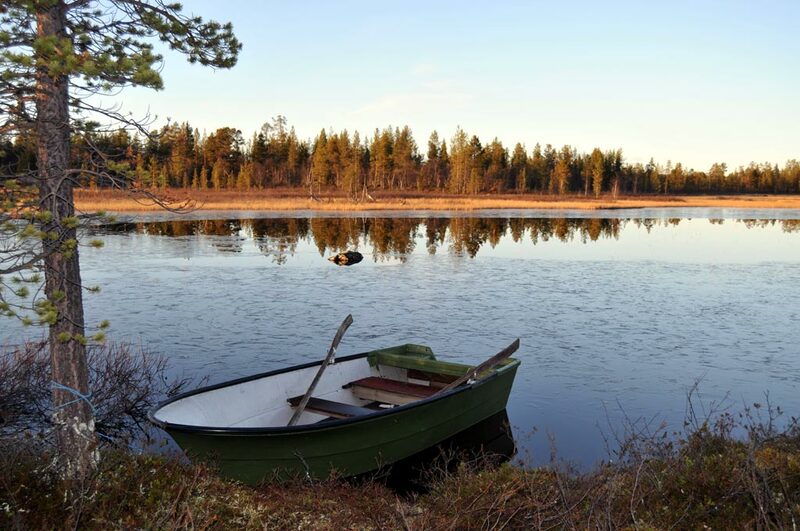 At the Aihkiniemi Yacht Marina, we dedicated our worn-out fiberglass rowboat to serve as an icebreaker. The ice was still rather thin, and with brutal force we reached the opposite shore less than 100 meters away. A couple of days later, the lake was again free of ice. Our austere cabin has a composting toilet, but no running water. Instead of showering in the cottages up north that we used a year earlier, we tested another location just five kilometers down the road. Matkapaikka Jounila has well-equipped vacation units for rent, and this being off-season, we were given a key to one of the units to shower as often as we wanted to for 10 euros per day. We paid an additional 10 euros each time we wanted to use the sauna. Propagation conditions were very unstable, and on the first night I enjoyed the Northern Lights, aurora borealis, which were visible even behind a cloud cover. The Northern Lights were seen on most nights during the first week, when reception was generally better, but could not be seen during the second week, despite a peak in the A index. Go figure. Maybe the auroral oval had moved further south. During the first six days, U.S. daytime conditions were occasionally decent and favored the Pacific Northwest and Alaska, which is typical for late October. Conditions to Asia began relatively early in the afternoon and included stations from Japan and other countries in the higher latitudes. One of the highlights was Saturday, October 22th, when we had an excellent opening to Colombia and Panama and a bit later to Cuba and the U.S. East Coast. After that, propagation totally changed. The Western Hemisphere offered mostly South American stations, while South Asia was dominating the Eastern Hemisphere. Only on the day of our departure did conditions begin to improve again. 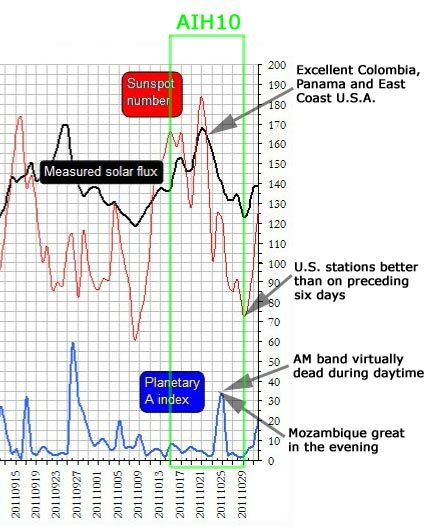 The following charts list solar indices affecting propagation conditions during the DXpedition. The first image aims to show how some of the highlights coincided with exceptional solar weather. As usual, thanks to Jan Alvestad for compiling the figures. 14.10.2011 136.1 268 157 2.3 2 0-6 00002111 00111110 334-407 7 . .
15.10.2011 137.7 251 166 8.1 8 0-18 32012322 32102211 369-455 10 . .
16.10.2011 151.0 237 158 7.0 7 2-12 23012222 23112222 404-443 9 . .
17.10.2011 152.6 232 165 4.1 4 0-7 20001211 21001211 349-432 4 . .
18.10.2011 146.8 214 144 4.9 5 0-7 22201211 22202210 345-382 3 . .
19.10.2011 147.3 224 128 6.8 7 2-9 22022222 12022221 346-414 8 . .
20.10.2011 159.1 314 161 4.6 5 0-7 21002222 21102221 354-413 2 1 . 21.10.2011 167.8 278 184 4.6 5 2-7 22111121 13101221 298-412 3 1 . 22.10.2011 164.1 279 164 2.8 3 0-5 10001111 11001100 275-359 3 1 . 23.10.2011 155.5 223 102 3.1 3 0-6 00011121 01111211 270-343 4 . .
24.10.2011 145.3 185 125 23.3 23 2-111 20200157 20211246 322-563 . . .
25.10.2011 138.8 157 121 33.3 33 4-96 66533221 55643222 430-681 1 . .
26.10.2011 132.2 142 91 3.1 3 2-5 10001111 21102211 363-527 1 . .
27.10.2011 131.5 180 85 4.0 4 0-9 12211101 13212211 356-474 1 . .
28.10.2011 133.9 171 91 2.1 2 0-5 00000111 00001010 278-435 3 . .
29.10.2011 123.0 105 73 2.0 2 0-5 00000111 00001210 270-338 5 . .
30.10.2011 126.7 163 80 5.5 6 0-15 10012312 01022422 269-419 8 . . In the following, I describe the conditions in more detail. Our log will be published much later because first we need to go through a vast amount of recordings. 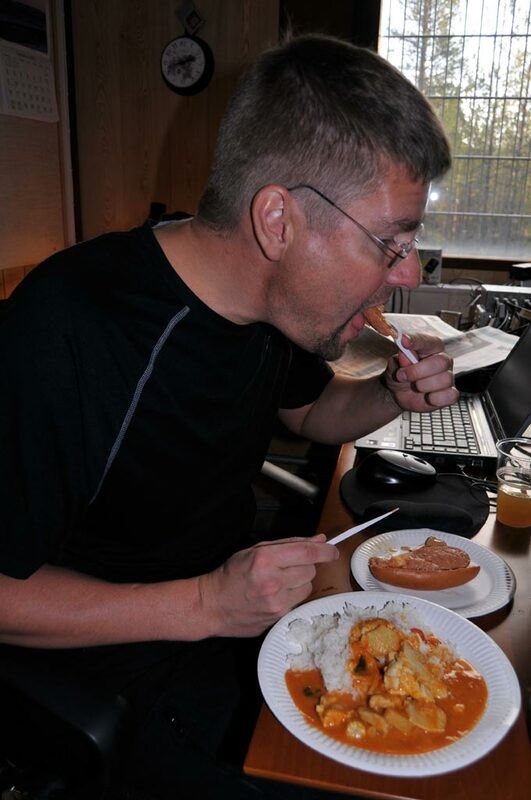 To compare what was heard elsewhere in the Arctic regions of Scandinavia at the same time, check out parallel DXpedition reports from LEM307 (Lemmenjoki, Finland), ENOX28 (Enontekiö, Finland), KONG21 (Kongsfjord, Norway), AND7 (Andøya, Norway) and PAX93 (Parkalompolo, Sweden). 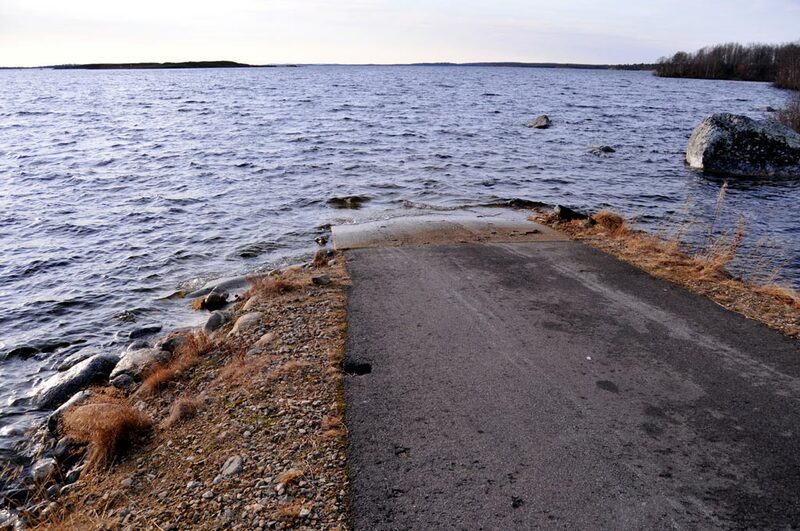 I arrived in Aihkiniemi around 1:15 p.m. local time (1015 UTC), and immediately rushed to check the conditions. It was easy, as three Perseus receivers were already running, left by Martti and Jari to record according to a pre-programmed schedule. The AM band was quiet apart from a few nearby stations in the Kola Peninsula in Russia. A few Hawaiians and Alaskans were heard around 1300-1400 UTC, but nothing interesting. Asian stations emerged around 1400 UTC, from all latitudes at the same time, and likely including only the usual suspects. KKXA is licensed to Snohomish, which is located near Seattle, Washington. 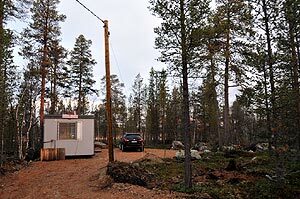 KKXA has a nighttime power of 50 kW, and the antenna is beamed northwest, with a very wide lobe, so no wonder that it can be heard quite well also in Scandinavia, which is NNE from Seattle. 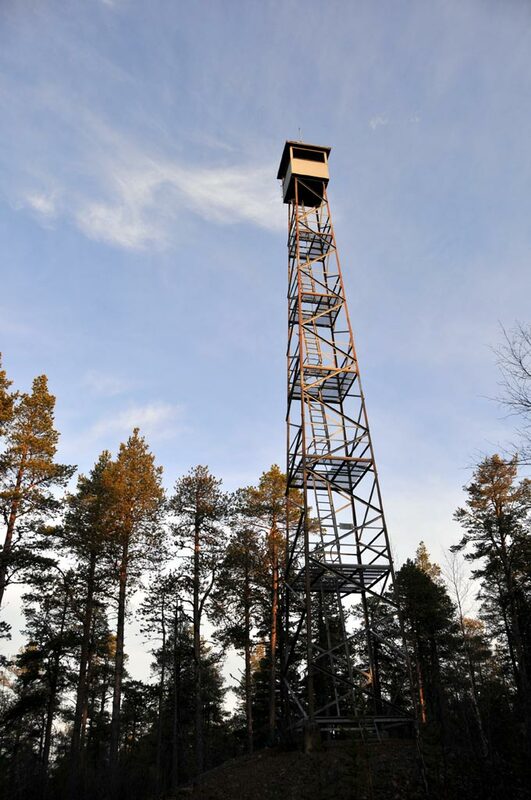 Here you can listen to a sample KKXA station ID recorded in Aihkiniemi. Note that on the air the call letters are abbreviated as "KXA". Email your reception report to owner Andrew Skotdal, andrew.skotdal (at) krko dot com. Andrew still confirms reports with a classic QSL card, which is a treasured rarity in this era of email verifications. "8th DX Report" was written on the QSL card I received. Many thanks Andrew! On Saturday evening North American stations began to pop up as soon as the sun had set, but conditions seemed to favor the regular dominants from around the Great Lakes. Signal strength improved steadily, and I started recording on two different antennas before midnight UTC. Daybreak offered some stations from Brazil and Argentina. U.S. West Coast began to improve after 0400 UTC, when I enjoyed listening to KKXA Snohomish, Washington, on 1520 kHz, a brand new station playing country music, and not just any kind of country, but the best classic country! Nowadays I like my Coke Diet, but my country still needs to be Classic. I was hooked immediately. The Pacific Northwest remained on the dial all the way until around 1330 UTC, which was very neat this early in the fall, although signal strength was not earth-shattering. 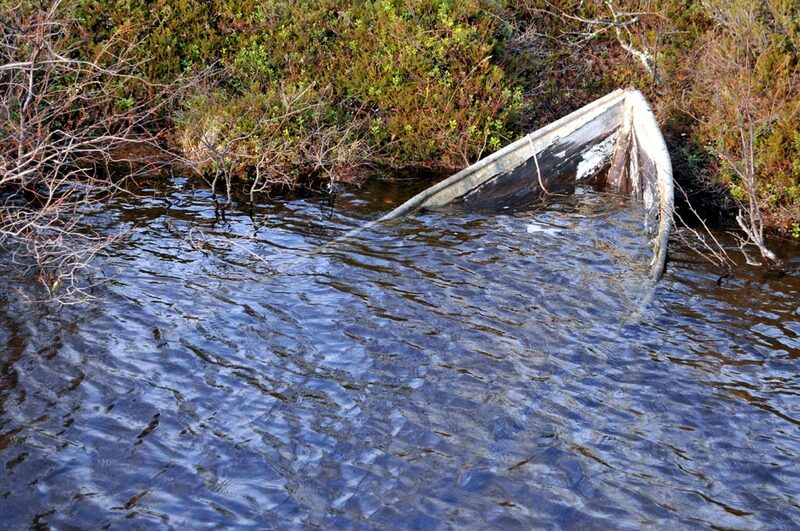 During the daylight hours I was alerted by Kongsfjord DXpeditionists to some Oceania stations, but I was out fixing antennas at the crucial times. In the afternoon, Asian stations appeared before 1300 UTC. Initially the focus was in Japan, but later after 1500 UTC the Indian subcontinent was very strong. Trans-Atlantic conditions seemed non-existent around midnight, and after admiring fast-moving northern lights, I set Mestor software to record a few top of the hour moments, and went to bed. At daybreak there was an opening to Brazil and Argentina. Also, isolated stations from Colombia, Cuba, Atlantic Canada, the Midwest and the Pacific Northwest were noted, but nothing spectacular. The Monday morning listening session continued with one very neat surprise: I heard WCPC Houston, Mississippi, (940 kHz) for over an hour with a very strong signal. It seems obvious that they continued on daytime power through the night. CFCO Chatham, Ontario, on 630 kHz was another welcome catch. This frequency was recently vacated by local pest NRK, so it merits extra scrutiny. Some Cuban stations continued until around 0900 UTC, and again North American stations were heard until around 1200 UTC, which was very nice. Asian invasion began much earlier than usually, already before 1200 UTC. Overall, Asian signals were simply huge, and lasted long. Too bad that there was hardly any focal point, as everything from Japan to Iran was heard mixing happily throughout the dial. Australians were heard later in the evening on the X-band, so hopefully some will be found on the regular AM band as well. Oops, how do I explain this to the other guys? Overnight conditions were very poor to all of the Americas, based on a quick sample of programmed recordings, and the morning rush hour from around 0500 UTC, which I naturally monitored live, was short-lived. Brazilians were stronger than on previous mornings, so I'm hoping for some new ones from there. The Western Hemisphere fell silent after 0600 UTC, and there was a lull of six hours before something interesting showed up. Daytime hunt for Pacific stations was fruitless. Again, it was Asians all over, but with emphasis on lower latitudes, so I expect to find some new stations for example from Thailand. In the afternoon, the Pacific Northwest, Alaska and Hawaii returned for a couple of hours (Hawaii on 1500 kHz heard as late as 1600 UTC), but only the usual suspects. Overnight was again very poor based on a brief peek of my automated recordings. As European interference began to fade out around 0500 UTC, I expected Latin American stations, but instead I got mostly Spanish stations that were exceptionally strong. So were the British a bit later, including stations such as BBC Three Counties Radio on 630 kHz. The morning opening to North America was relatively weak until around 0700 UTC, when signals gained strength, and even graveyard channels were audible. Lots of Mexican stations in the mix, and mostly Bible Belt stations dominating. The Pacific Northwest continued to be heard until around 1200 UTC, when it was already high time to switch to another continent: Asia. The first Japanese stations appeared already around 1100 UTC, but by 1200 UTC the Chinese were on top. 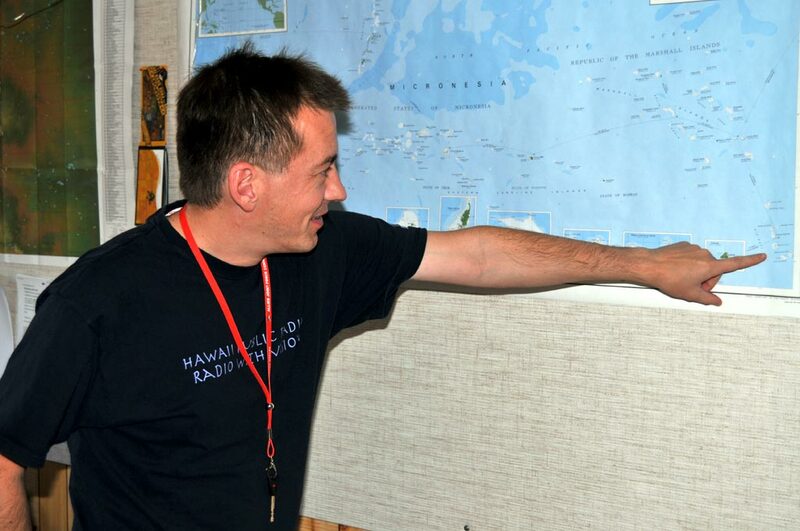 Alaskans and especially Hawaiians were heard with impressive signals from around 1000 UTC. As usual, a lot of East and South Asian stations were heard in late afternoon, including some Philippine stations in the mix. On Wednesday evening a few North American stations appeared on the dial already before their local sunset, but they were all regulars, and I didn't notice any daytime-only stations. 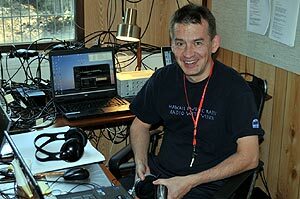 Sunrise conditions favored Venezuela and Colombia at 0500-0700 UTC, a first on this DXpedition. At the same time, U.S. stations were quite weak, but improved a bit after 0700 UTC, with a focus in Midwest, then tapering off around 0800 UTC. Some West Coast stations lingered on until around 1300 UTC. Asian stations made an initial appearance around 1200 UTC, but mostly disappeared by 1245 UTC. They soon reappeared, but with a very southern focus, for instance Pakistani stations were quite strong. 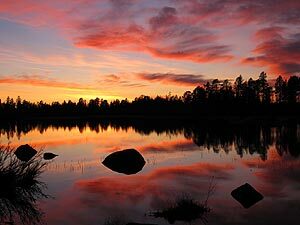 I left automated recordings to take care of South Asia, and drove down to Ivalo to pick up Jim from the airport. Lousy conditions can get even lousier, as we discovered on Friday morning. After a poor night there was bound to be at least the sunrise effect bringing in trans-Atlantic stations, or so we thought. There were a few Latinos and North Americans, but that was it. The morning was the worst of the week, with absolutely nothing of interest to record around 0600 UTC, which should have been prime time DX. Daytime conditions continued to be poor, which allowed time for antenna work, but Radio Kiribati on 1440 kHz was the surprise of the day. Kiribati remained on the air hours beyond its regular schedule due to local elections. Many thanks to OJS and the rest of the KONG crew for the alert! In the evening Asian stations leaned heavily south, so in addition to All India Radio Thrissur on 630 kHz we should find several other interesting stations from that direction. During the night U.S. conditions leaned West after 2300 UTC, but unattended recordings did the job while we were sleeping. The morning began with fabulous conditions to Colombia, Panama and the Caribbean area, starting around 0500 UTC and weakening after 0700 UTC. This was definitely one of the best openings to the area that I have ever been lucky to monitor. There will be numerous new stations for both of us on quite a few frequencies, including Radio Oxígeno from Cúcuta, Colombia, on 980 kHz, in addition to the dominant RCN Cali, and Radio Hogar from Panama on 1250 kHz. Incidentally, we travelled to Colombia the following month for vacation, so we had a chance to get an ever closer look at the radio scene there. Saturday morning continued with an excellent opening to Cuba and the U.S. East Coast with catches such as Radio Reloj, Bayamo (980 kHz) and WQNT Charleston, South Carolina (1450 kHz). In the afternoon we finally had decent conditions on shortwave, allowing us to identify for instance Radio Fly from Papua New Guinea (5960 kHz) and RRI Fak-Fak (4789.9 kHz). However, when Asians began pouring in around 1200 UTC, Southern China was the northernmost area audible. And no AM catches from the Pacific. ABC Busselton WA (1152 kHz) did show up, for the first time on this DXpedition, but counts more as an Indian Ocean station, and seems to correlate with high solar activity and disturbed conditions. Overnight was quite boring with stations only from the Southern part of South America. Even at daybreak, not a single trans-Atlantic signal from above the Equator was heard, and hardly anything of interest from further south. Again, what a difference a day makes. Since Sunday morning was so lousy, we decided to head out at 0700 UTC to check out the condition of the remaining antennas. Daytime was dead on the dial, due to continuous elevated proton flux, and when Asian stations began emerging around 1200 UTC, they were all from South Asia. We had excellent reception of stations from Vietnam, Thailand, Nepal and India, and have already identified many rare Thai stations. The protons continued to take their toll, with a virtual radio blackout across the Atlantic. No sign of the Caribbean, let alone North America, and only stations from Brazil, Argentina and the rest of southern South America were noted, best around 0600-0700 UTC, after heavy European interference subsided. Nothing was heard during the daytime on Monday, so we checked and improved the remaining antennas. In the afternoon the first stations from South China and South Asia emerged remarkably early, already around 1130 UTC. First there were quite a lot of Thais, later Iranians, but not much from further north, which was probably due to the brewing geomagnetic storm. By the evening signals weakened, and the AM band seemed empty aside from some Europeans and a huge number of Middle Eastern stations. Luckily later in the evening we went after Africans, and managed to get half a dozen stations from Mozambique, which is quite unusual. The geomagnetic storm had hit with full force, and the AM band was dead. 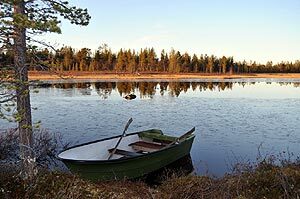 Nothing from across the Atlantic was heard overnight, and not even at daybreak, so we continued sleeping, and drove to stock up groceries in Inari later in the day. In the afternoon South Asian stations began to rise from the noise around 1400 UTC, but my initial impression was that there was nothing special nor any clear focus on any particular region. Some Thai and Chinese stations appeared on the band late in the evening, or morning in Asia, but otherwise nothing to listen to, and no longer any signs of sub-Saharan Africans. 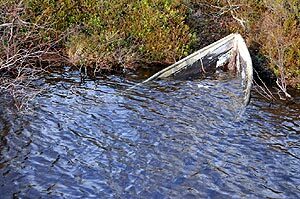 Radio Gambia is a regular catch across the Atlantic, but it has been very rare in Finland. 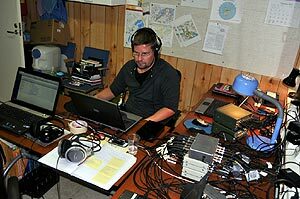 In 2007 it was logged by Ilpo Parviainen in the morning, but this time we caught Radio Gambia in the evening. It was heard for a long period until sign-off at midnight. I started looking for it after I noticed that TWR Benin (1566 kHz) was remarkably strong at its local sunset, and it didn't take long before Gambia emerged, at times on top of Radio Nacional de España. A contributing factor is that BBC fortunately no longer transmits on the same frequency. Check out a clip of the Radio Gambia station ID in the Wolof language. Bakary Jatta, Director of Radio Engineering, kindly confirmed our reception reports. Automated overnight recordings captured an opening to Brazil around 0000-0200 UTC, weakening afterwards, but nothing from further north. Daybreak resulted in a total meltdown on the AM band. Europeans pretty much vanished around 0500 UTC, and the few remaining Argentine stations a bit later, leaving behind a handful of Europeans with ground wave propagation. This is certainly not what the end of October should be, or at least what it has been during the past few years. Asians though were heard very early, the first stations from Heilongjiang province in China appeared at 0950 UTC. Later on reception shifted, as usual, to South Asia. In the evening we did have one excellent surprise though, which saved the day: Radio Gambia on 648 kHz, a station we both had been hunting already for a couple of decades. Too bad that there are nowadays very few AM stations left in Western Africa outside Nigeria. 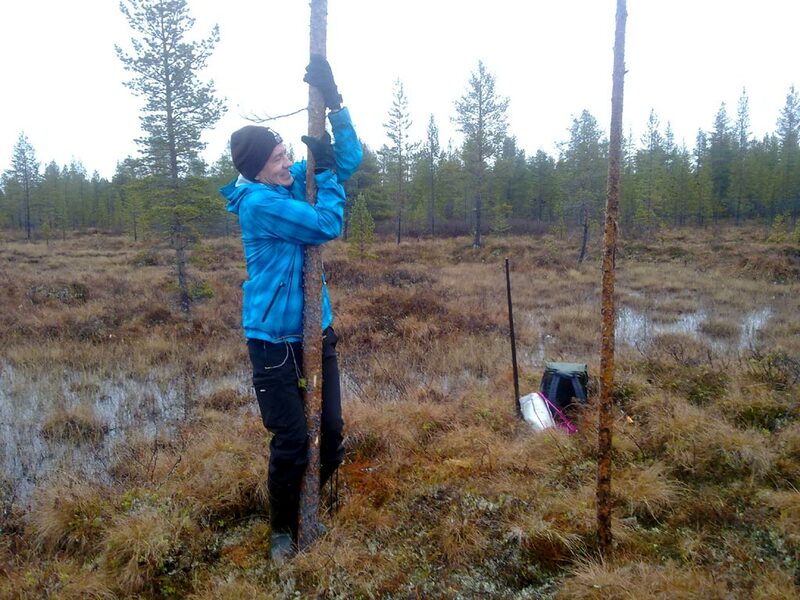 Pole dancing Lapland style! Mika pushing a support pole deeper into the swamp. The Western Hemisphere was again weak. In the afternoon, the first Asians were heard already around 1200 UTC, but they receded an hour later. A local Russian pest on 1521 kHz was off the air during the day until 1300 UTC, a rare incident, but conditions were too poor to catch anything new there. Asian stations reappeared later in the afternoon, but the familiar focus was South Asia. We would have been lost without our 100-degree wire. In the evening we hunted for African goodies, with some nice results, including the second appearance of Radio Gambia. This morning offered the best opening to Brazil and Argentina so far this fall. Our catches included Radio 750 from Argentina and Rádio Capital from Rio de Janeiro on 1030 kHz. Some other Latin American countries were also represented, for example La Mexicana Radio from Chile on 1330 kHz was booming. Today we had to dismantle the remaining antennas to Asia, so we couldn't really take advantage of the traditional afternoon opening. Whose job was it to read the map! As could be expected, conditions would definitely improve on the day of our departure. Due to housekeeping, packing, and last-minute antenna chores, we had practically no time to spend listening live, but morning conditions seemed to favor Ohio and the surrounding areas. We left some automated recordings to compensate for our poor timing, which was very similar to the previous fall. We left Aihkiniemi at 1:45 p.m. local time, and drove down to Rovaniemi to catch a train south. The night was an hour longer than normally due to the end of the daylight savings time, a very welcome remedy to cure our sleep deprivation. However, I must say that nowadays on DXpeditions we do get an almost adequate amount of sleep thanks to sophisticated recording software that can monitor the AM band for us overnights. AIH10 was my first two-week-long DXpedition in Aihkiniemi. It may sound like a long time, but to a DXer, going there feels like entering the Magic Kingdom  you just can't get enough of it (although you can get more than enough of recordings). We thoroughly enjoyed our time, and endured each other's company quite well, even in such close quarters. Time flies, and immersing into the daily cycle of DXing is highly addictive. 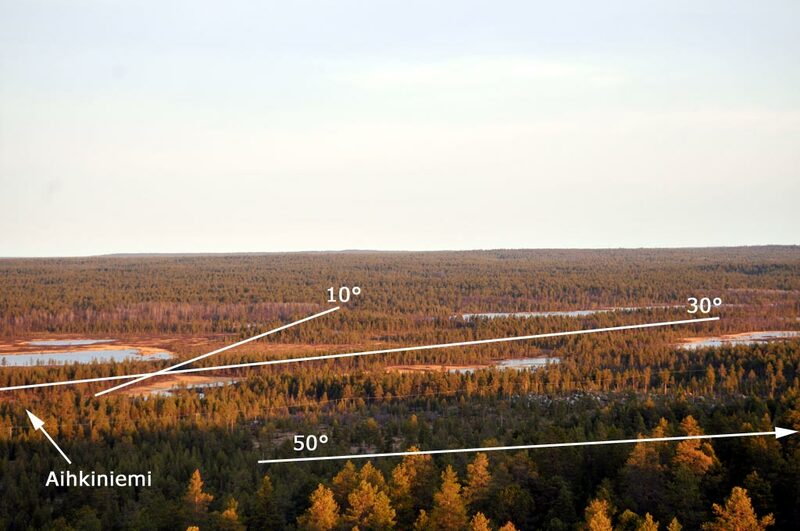 The array of antennas in Aihkiniemi is so comprehensive that no matter where the signals come from, you're not left feeling underequipped. Propagation conditions were not ideal, but as we are approaching the solar maximum, this is probably the new normal. Remember that Aihkiniemi is available to you as well. 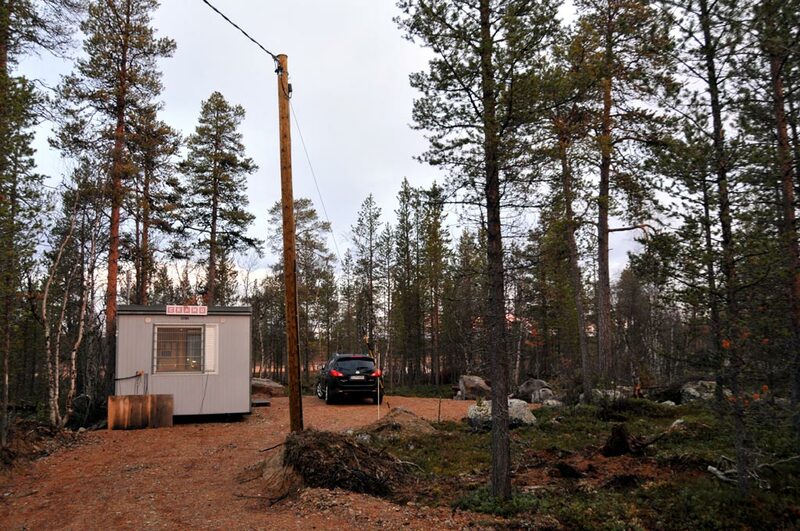 You can read more about renting Aihkiniemi for your DXpedition of a lifetime in this article.